Set of four Cork Coasters, sustainable, practical and all natural. Choose from Sardines, Regatta or Pilchard Wheel. Material : Cork is a natural product harvested from tree bark every seven years, without harming the Cork Tree. 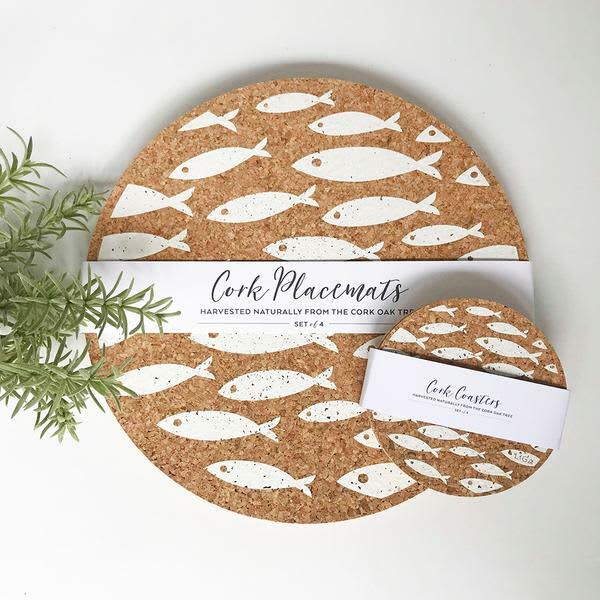 Size : Coasters just under 10 cm / Placemats just under 25 cm / 5mm thickness. Care : Easy to wipe clean and heat resistant.